Everytime Bayern Munich is out on the pitch they draw a huge crowd. 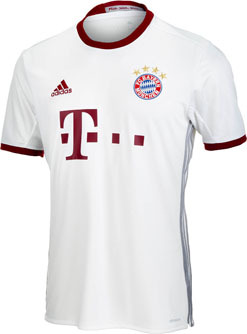 It makes sense, because who wouldn't want to see guys like Ajern Robben and Manuel Neuer. 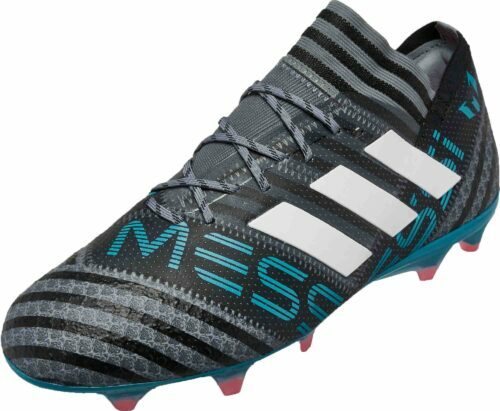 Their star studded roster has put them at the top of the soccer world. 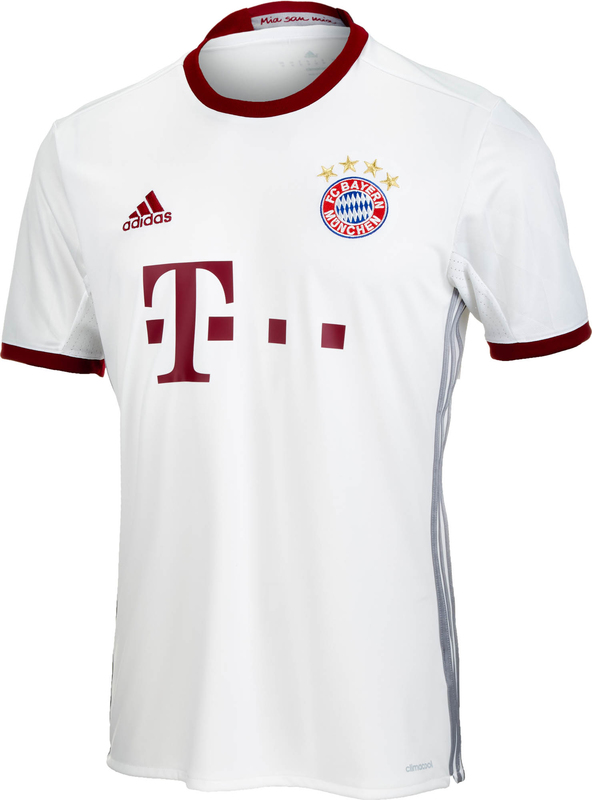 Make sure that all Bayern fans, young and old, show their support for the German giants by rocking the adidas Kids Bayern Munich 3rd Jersey on match days. 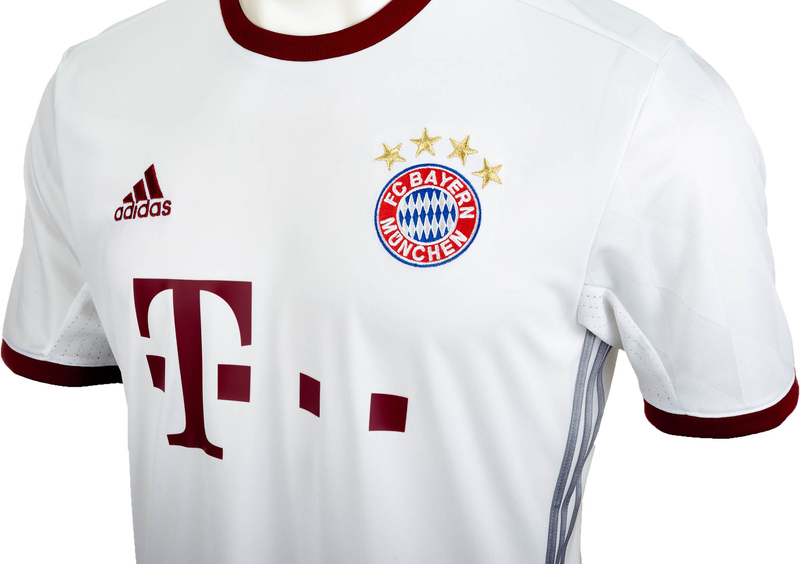 This third jersey gives Bayern's kit a great balance. 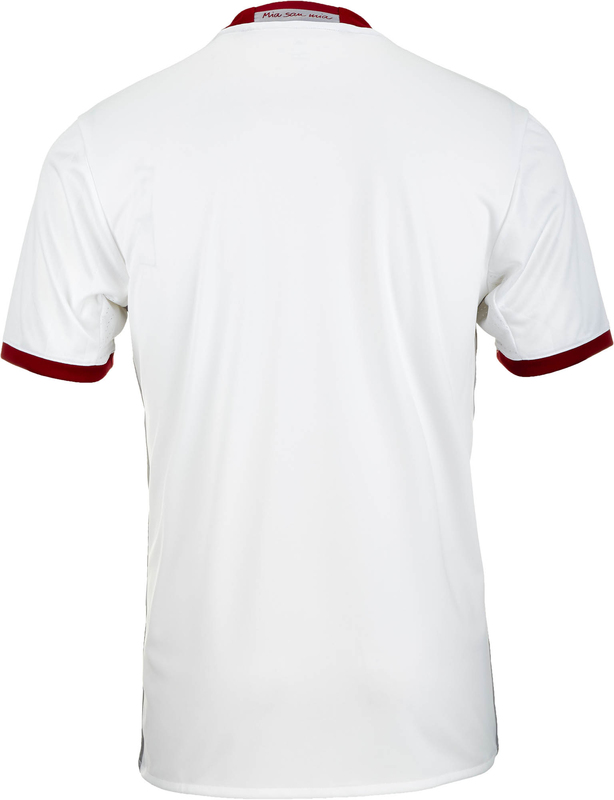 It's a white jersey with light onix and collegiate burgundy details that really stand out. 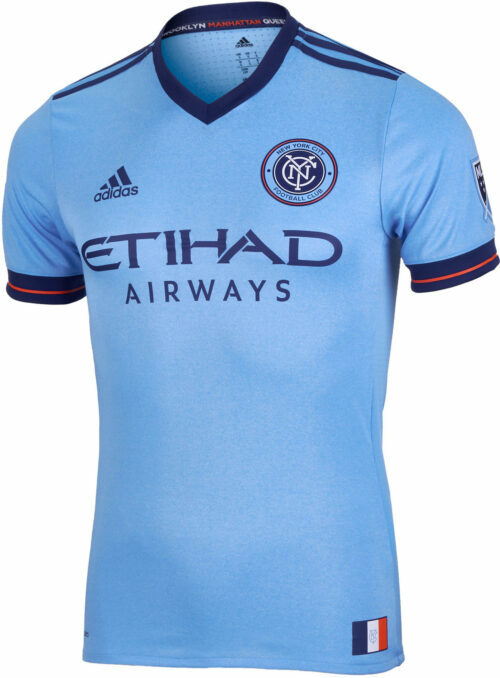 Aside from the awesome design, the jersey is made out of adidas' Climacool material ensuring comfort and dryness. 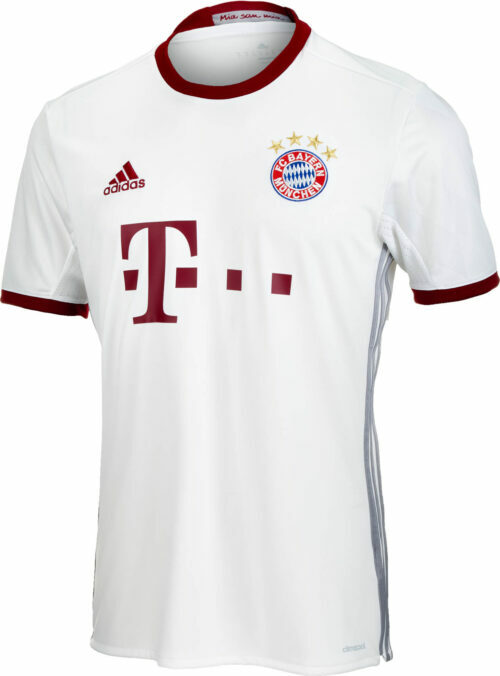 Bayern's crest can be found on the left side of the jersey while the adidas logo is on the right. 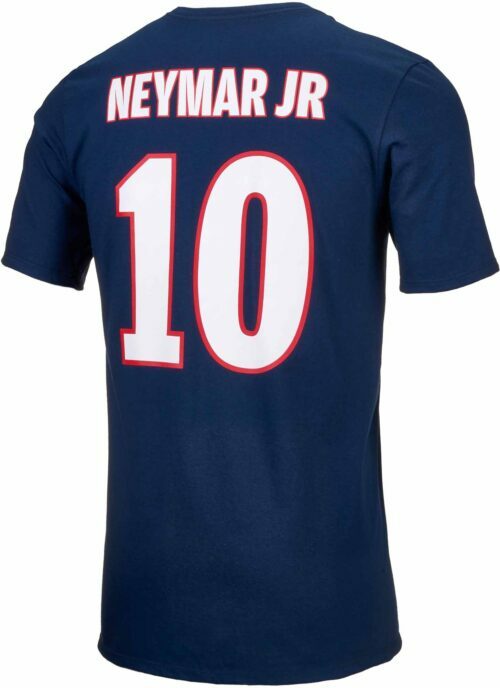 Make sure you get yours today!